Inaugurated the new Uffizi Restoration Laboratory! The Uffizi Restoration Laboratory is moving inside the Boboli Garden. About eight years ago, former Superintendent of the Museums has identified the new spaces, in the building of the \"Cacce superiori\". It is an architectural complex of various origins, probably dating from the late Sixteenth century. Over the past thirty years, the Laboratory has occupied some rooms in the Uffizi palace, those of the Royal Post, on the ground floor of the museum. 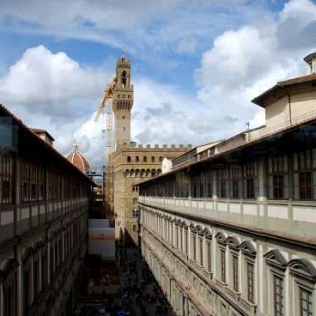 The transfer is due to the need for improvement and adaptation of the laboratory, but also to avoid the risk of new floods: remember that the one in 1966 caused damages on the ground floor of the Uffizi. The new spaces were set up in full compliance with the building in the Boboli Garden, but they host an advanced laboratory. The restorers are working on different materials, such as: paintings, stone, wood and clay. With this new lab, Florence confirms itself on the cutting edge in the field of art restoration.